Hi All! It’s Taryn from Design, Dining and Diapers. It’s always great to be here at Creative Home. Can you believe Thanksgiving is just around the corner? I love this time of year because people take an extra few minutes to stop and reflect on what they are thankful for. It’s a time for friends and family to gather and think about the past and count their blessings. Thanksgiving is also about carrying on old traditions and starting new ones. We have several traditions in my family that I look forward to each year, like my grandma’s sweet potato casserole, watching the Macy’s Day Parade and football! Today, I put together a list of beautiful traditions that people have started in their families. I love these ideas and I can’t wait to start a few of them with my growing family. 1. 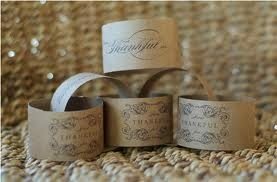 Create a thankful garland using this beautiful printable from Silverbox Studio found on Cafe Mom. Have each family member write what they are thankful for and display it around the house. 2. 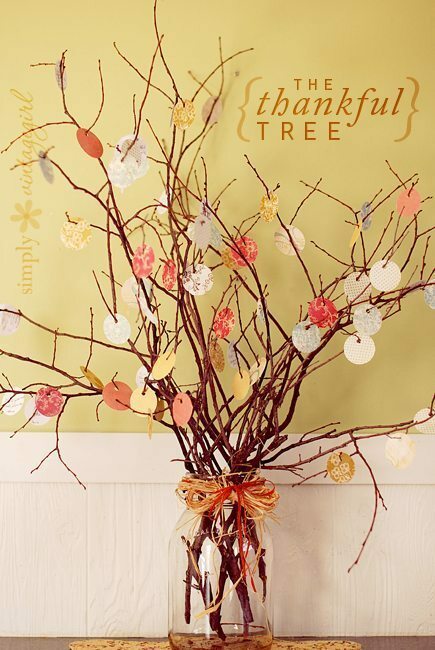 This Thankful Tree from Simply Vintage Girl is absolutely stunning and so thoughtful. You could write notes on the first of the month and have them up year round. 3. 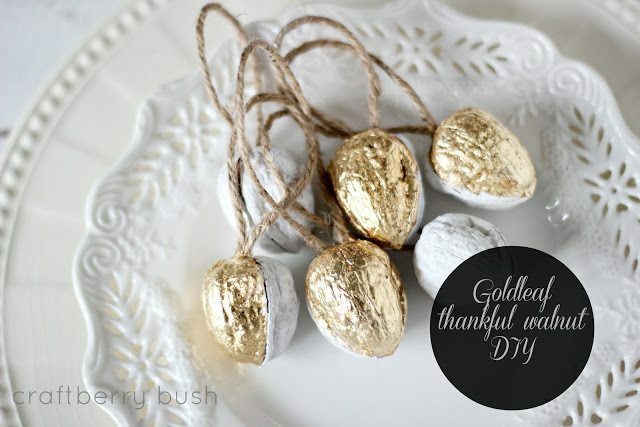 Lucy from Craftberry Bush shows you how to make these Goldleaf Thankful Walnut favors. Write inspirational messages inside and have each guest open them during dinner. 4. This Thankful Book by Erin Bassett is perfect for a family, especially one with small kids. 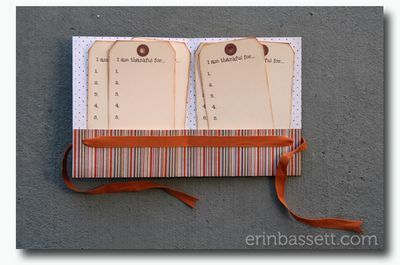 Have each member fill out what they are thankful for and keep all of the tags in the adorable book. Make one for each year. What a fun thing to reflect back on over the years. 5. This blessings jar is probably one of the sweetest traditions I have heard of. Marty’s Musings made this jar that is kept out year round reminding her family to count their blessings. 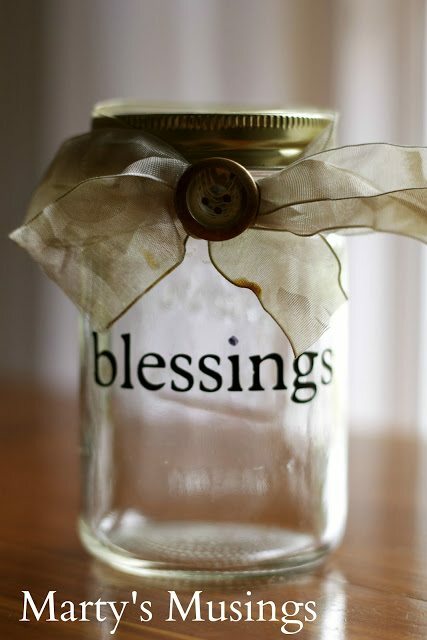 Throughout the year they write down blessings as they occur and place the piece of paper into the jar. Then on Thanksgiving they sit down and read each piece of paper. What a wonderful way to reflect on what happened each year. 6. 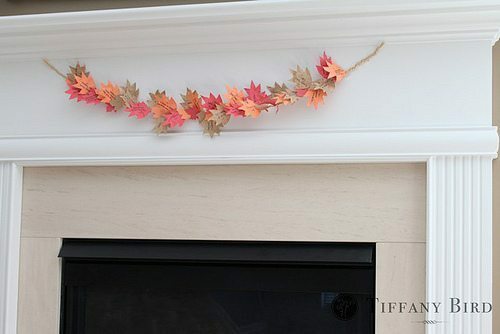 This Grateful Garland by Simply Modern is not only sentimental, it also serves as a beautiful piece of fall decor! 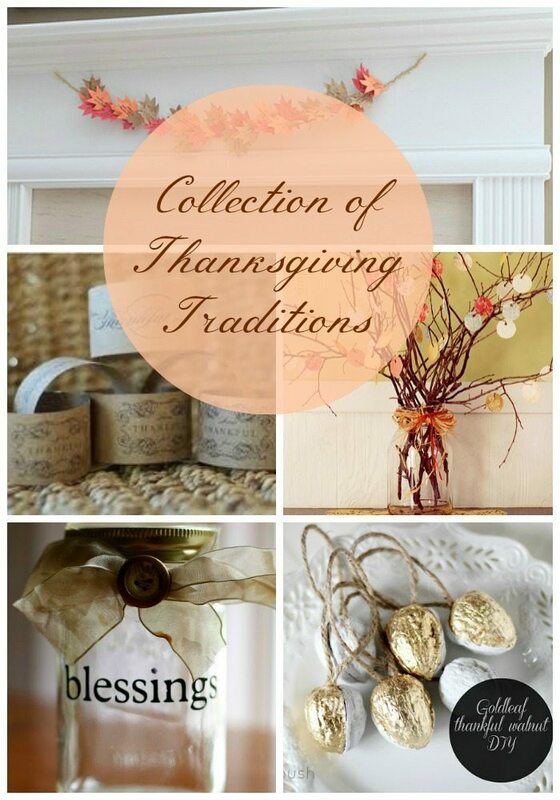 What Thanksgiving traditions does your family carry on from year to year?